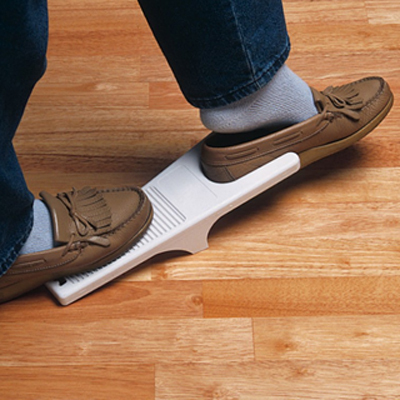 The Shoe Remover is ideal for those people who have difficulty bending over as it allows you to effortlessly remove your shoes. The Shoe Remover is ideal for those people who have difficulty bending over as it allows you to effortlessly remove your shoes. It is constructed from sturdy plastic. Not suitable for people who have had a total hip replacement or who have restricted hip abduction. Colour may vary. Not suitable if you have had a total hip replacement or restricted hip abduction.